FREE World's Best Dad Award! You are here: Home / FREE Printables / FREE World’s Best Dad Award! FREE World’s Best Dad Award! Here’s a fun FREEbie for your kids to give Dad for Father’s Day! Right now, you can print off this FREE World’s Best Dad Award! I don’t know what Dad WOULDN’T want to receive this! I’m grabbing this for my daughter to give my husband! 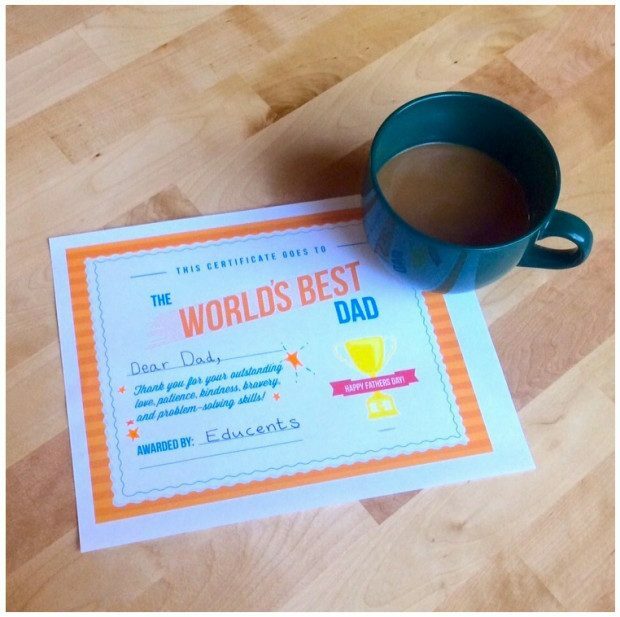 Download and print this Educents exclusive, World’s Best Dad certificate today! The award can accompany his morning cofee or breakfast in bed. Lucky dad!! !